You can see how I plan my asteroid imaging and also how I create the time lapse of the complete capture. 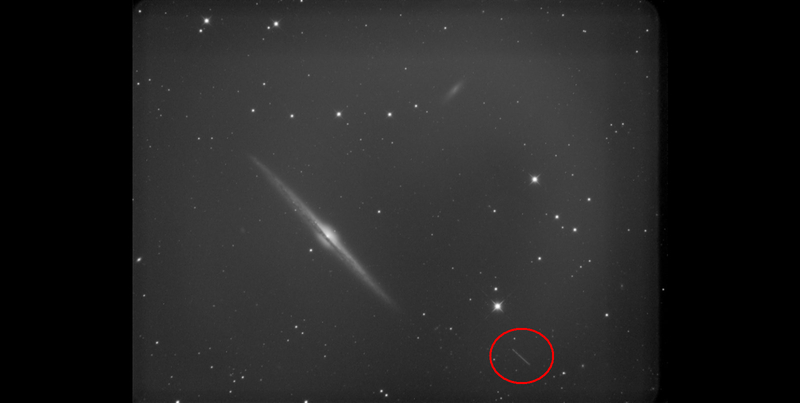 During May and June 2016 I was imaging NGC4565 (The Needle galaxy) - One morning I stacked my 24x10 minute exposures and found a line on my image. What's so interesting about this? Well it means that while the stars are remaining static in the field with the guiding working, something was moving across the frame at a fairly slow pace as that was the entire movement in 4 hours. As a reference a plane or satellite would go through the entire image, you can see the difference below. I knew from the first picture that this was not a plane or satellite trail and so I wondered if it was a asteroid. So what is this dot and how do you know? Most astronomers will have some form of planetarium software on their PC showing what is about and when. For this purpose I use Cartes Du Ciel. While not a particularly pretty piece of software it is quick, not resource intensive and shows me all that I want. I used this software to look at the date and time I was imaging and selected the 'show asteroid' menu. I did have to load in some database information so that the most recent orbits were showing accurately. I may well have imaged many asteroids before, but I've never noticed them. There's over 700,000 asteroids now in my planetarium software and so when there's nothing else to do, I'm going to do some more of these! 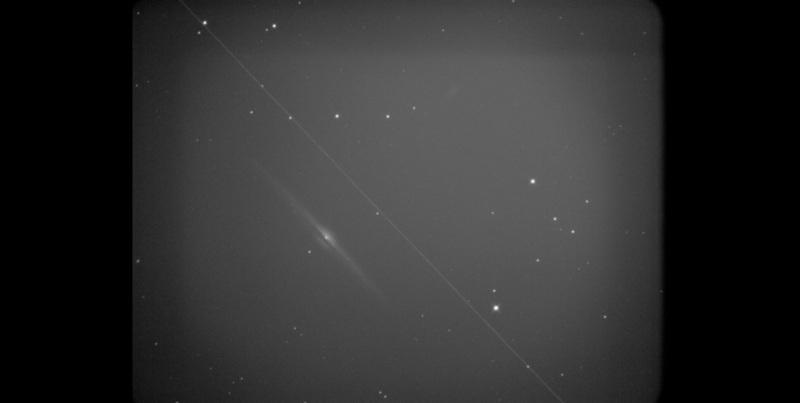 Sure there's only a white dot to watch, but in the case of (582) Olympia this is a mere 43km in diameter and travelling at 18km/s and I managed to capture it from my garden.